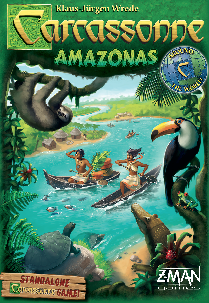 In Carcassonne Amazonas, players sail their boats to the Amazon to discover abundant wildlife. As players place tiles and use meeples to claim locations, they will also be moving a boat down the great Amazon river with the aim of scoring enough points from villages, tributaries, jungles with animals, and maintaining a lead in a river race. Explore the Amazon to discover the many animals that live there. Visit villages and walk along the many tributaries of the Amazon River. 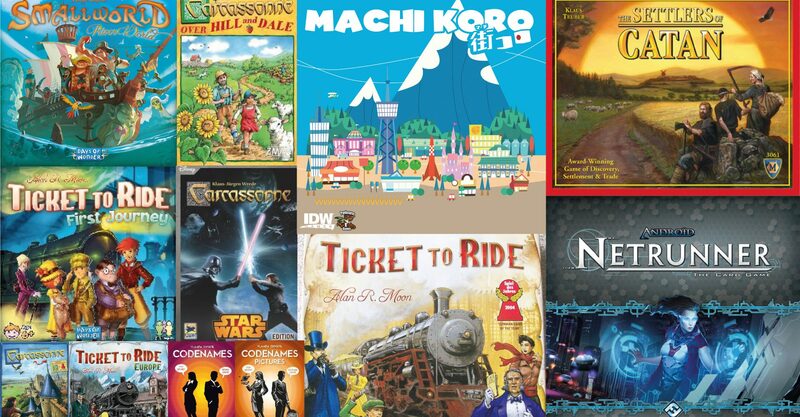 And this time, victory will require more than clever tile and meeple placements: you’ll need to stay ahead of the competition on the river itself. 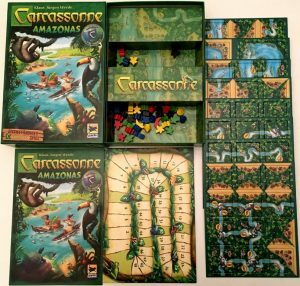 Carcassonne Amazonas can be played with between 2-5 payers aged 8+ with an estimated playing time of 35 minutes. Available here.